Yesterday we looked at the simplest of shapes. Today we look at the places where art occurs - simple places, mundane places - our cars. "I lived on a long, dirt road in Central Texas for over 20 years. Since our cars were always dirty, I would often “doodle” in the dust on the rear windows of our cars. My father was a great amateur cartoonist and I must have picked that up from him, because my natural tendency was always to draw funny faces. I started experimenting with ways to get shading. At first I would use the pads of my fingers and brush very lightly to get “grey” tones. One time I was chewing on a popsicle stick, and I tried using the chewed up end as a brush. I liked the effect, so I started trying paintbrushes, and eventually developed the techniques I use today. Nowadays, I use a rubber “paint-shaper” tool and assorted brushes (and of course my fingers)." 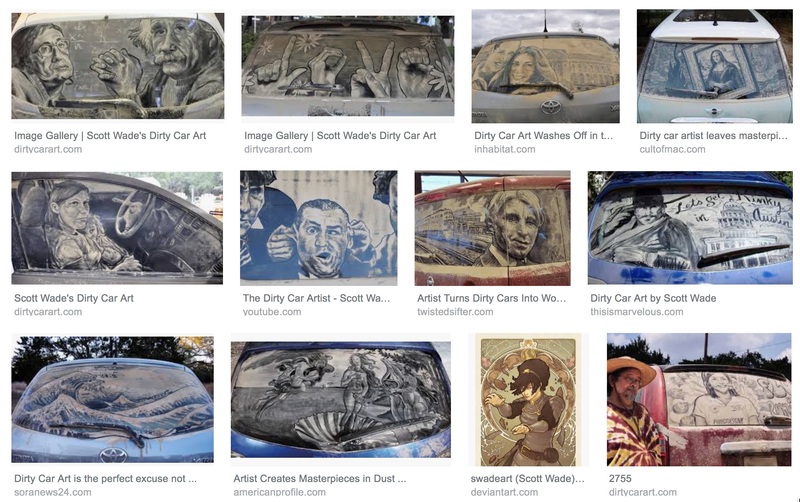 His site is http://www.dirtycarart.com Here are some great examples of his work. There are a lot of people with Scott's creativity and innovation. I took a look for other mediums that people use to create art. Here's the link - the pictures are essential to the STORY. What kinds of things have been used to create art? 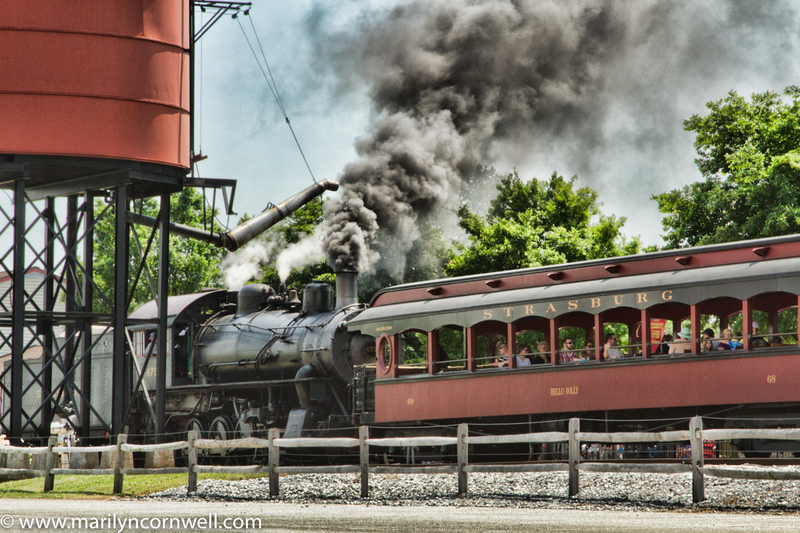 We have a Strasburg Train picture today, and it reminds me that there is 'smoke art'.